Looking for a Used Boat? Be Smart. Buy Smart. Whether you're going to sail the open ocean, fish your favorite coves or chart a course to your dream retirement-buying a boat is the adventure of a lifetime. 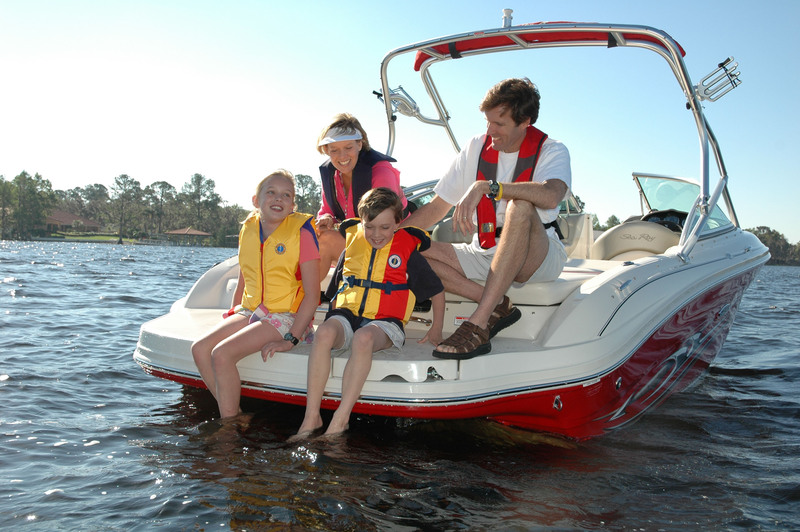 You can find many exceptional values in used boats-they can be affordable, seaworthy, well built, well maintained. 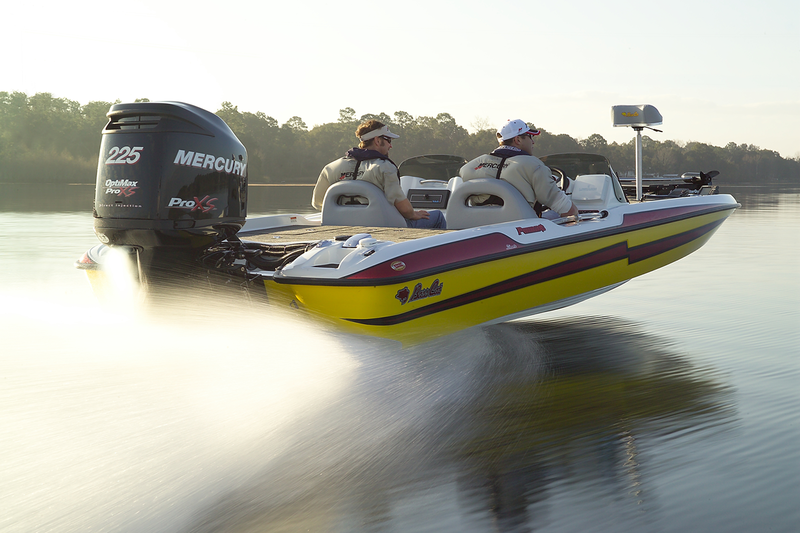 To make sure you get years of pleasure and adventure out of your used boat, buy smart. This special booklet will help you. 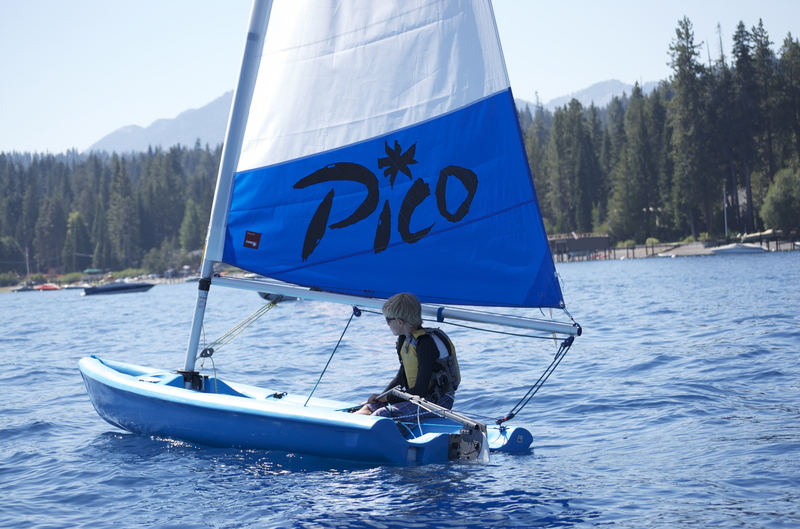 It's a service of the California Division of Boating and Waterways and the California Yacht Brokers Association (CYBA). Read it before you buy, then refer to it for help as you go through the buying process. You can also use the Department's toll-free number and Web site for more help. They're listed at the bottom of each of the following pages. Do you want a boat you can pull on a trailer? For use on inland waterways? Coastal waterways? Do you plan to berth your boat in a marina? Larger boats are not usually trailered. 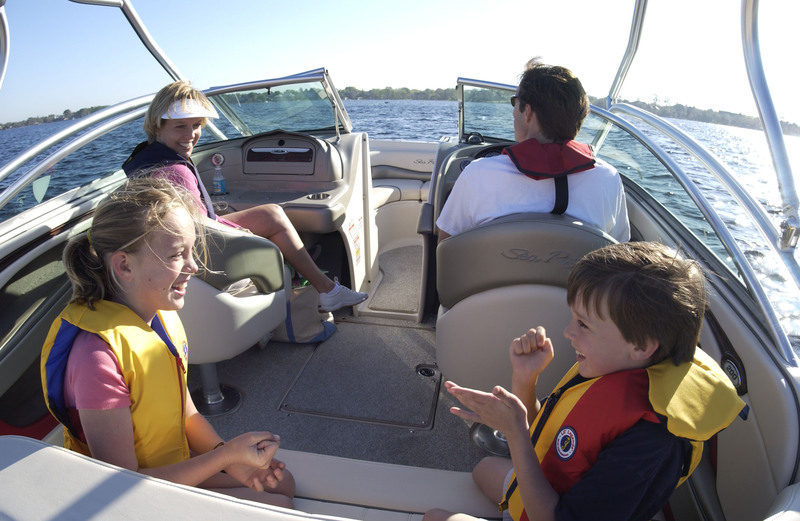 Are you an experienced boater-or just starting out? What will your marine insurance costs be? Marine insurance: How much does it cost? Although you can get financing for boats 15 years or older-and boats needing a lot of repair-the rates may be higher than for newer boats. Don't necessarily use a surveyor the seller has recommended-and don't rely on a survey report from the seller. The report might have been written before certain problems turned up in the boat. One word of caution-California has no occupational licensing standards for marine surveyors. But be advised: If you're buying boat at rock-bottom price, or if the seller is in distress and is selling for below his market price, the sea trial and survey will not give you leverage to negotiate. The seller might not have funds for repairs and is selling as is, where is. The seller may insist that you pay any repair costs. The cardinal rule is-get it in writing. Your broker will outline the terms of the sale in writing to protect your interests. That includes spelling out obligations that you and the seller have agreed to, and when these obligations will be fulfilled. It's a legally binding contract of each party's intentions. Brokers have a legal duty to buyer and seller alike in every transaction. Brokers work as trustees. They must work justly and in good conscience in the interests of both parties. They're duly bound to act in good faith, and they must make full and complete disclosure. Brokers should work in complete honesty. The Division of Boating and Waterways conducts criminal background checks on brokers and salespeople before they are licensed. They must supervise their employees' sale activities-or risk losing their surety bonds if they're caught defrauding or making misrepresentations to customers. By 2017, DBW will begin issuing the CVOC to boaters operating motorized recreational vessels on California waterways who can show proof of passing an approved vessel operator examination. Where can boaters take exams? Boaters will be able to choose to take approved boating safety courses or challenge exams online, in the classroom or through home study. To learn more about mandatory boater safety education, visit www.dbw.parks.ca.gov/CVOC. If there's already a loan on the boat, your broker will handle paying it off for you after your funds have gone to your broker's trust account. In some cases the new lender will transfer the title. If your boat is documented with the U.S. Coast Guard, a Documentation Service will transfer the title. You pay the cost and coordinate it with your lender. If you don't have o lender, your broker will refer you to a Documentation Service business. If you are looking for a place to put your boat, ask your broker for help locating a suitable marina to berth your boat. Who can you call if you have questions about your broker? DBW is your watchdog for yacht and ship brokers. We also license yacht and ship brokers and salespersons to make sure they comply with consumer protection laws when they help you buy a boat. Yacht brokers are agents whom people hire to list and sell boats for them. 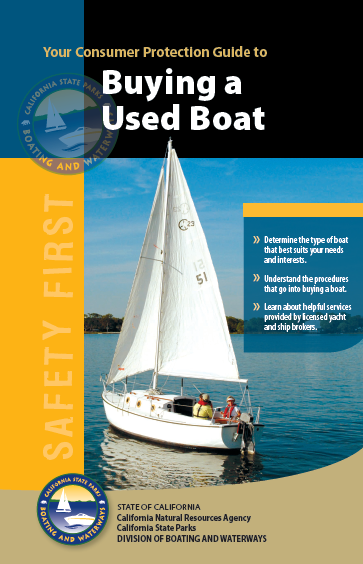 DBW has jurisdiction over the sale of brokered boats that are 16 feet or longer and weigh less than 300 gross tons. DBW is required to investigate written complaints against brokers and sales people, and we have the authority to deny, suspend or revoke their licenses. DBW may also investigate the actions of brokers and salespeople, whether they’re licensed or not. To file a complaint about a broker, call DBW at 1(888) 326-2822 or fax your complaint to (916) 327-1878. You can also write the Division’s Licensing Unit at One Capitol Mall, Suite 500, Sacramento, CA 95814. DBW brings together a body of knowledge as the state’s expert in recreational boating-related matters, including public access, safety and education, marine law enforcement, and consumer and environmental protection. To learn more about DBW and about the resources available to you, visit www.dbw.parks.ca.gov.